SellUsYourStory.com helped Lori share her incredible story with the national papers for the best possible fee. If you’ve got an inspirational story to share with us, don’t hesitate to get in touch. Use the Story Valuation form on this page to tell us about your story, and we’ll tell you what it’s worth. It won’t cost you a penny and there is no obligation. A teenager has told of the “best moment of her life” when she was crowned as the UK’s first ever transgender prom queen at school. Inspirational Lori Beynon, 16, was born Luis but started transitioning two years ago after confessing her true identity to her mum in a text message. The bubbly fashion lover now wears a skirt to secondary school and is about to start hormone treatment. But the glamorous teen was astonished when her classmates at Cardigan Secondary School voted her to be this year’s Prom Queen at their end of school dance. It is believed it’s the first time a transgender person has been crowned prom king or queen in the UK. Overwhelmed Lori said: “I was really excited to be going to prom anyway. “It was the first time I had really worn a proper dress. I felt really nice I had fake tan on and I was really happy. “I went with all my friends and I didn’t know but they voted for me as prom queen. “That was nice but I never thought other people would too. “But when they called out my name it was amazing. It was quite scary walking up in front of everyone. It was probably the best moment of my life. Lori, from Cardigan, Wales, she said knew she was a girl from age three, and loved wearing big sister Chloe’s clothes and playing with their Bratz dolls. But when she started school she realised the “outside didn’t match the inside” and started researching online aged ten to put a name to her feelings. Brave Lori explained: “I’ve always wanted to dress like a girl and present myself as a girl. “Being called ‘him’ and ‘he’ never really felt real to me. It always felt wrong. It was weird. “As a kid I used to wear all my sister’s clothes. I used to put a towel on my head to pretend it was long hair. “I knew I was a girl. But I didn’t think or know I was any different. It was only when I got older that I started to realise that the outside didn’t match the inside. “When I was about ten I searched on the internet for ‘I feel like I girl and I don’t know what to do’. “I had no idea what it meant to be transgender then. I had no clue. I’d read lots of articles about it and watched a few documentaries. Then just 13, brave Lori confessed she wanted to have gender reassignment treatment to supportive mum Sarah Young, 37, a health worker. “I told her in a text because I was too scared to tell her to her face,” she said. “All I told her that I knew this is what I wanted to do. “I had done lots of research on it and I told her that I was 100 per cent sure that I wanted to do it – that I was transgender. “Puberty was the worst time in my life. It’s horrible. I would wake up and run over to the mirror and it was really hard to deal with. “I would be there looking at my face and thinking ‘do I have a beard?’ It’s horrible to feel like that. “I had to speak to my mum when I was 13. Puberty was starting. “To start all the hormone treatment I knew it was going to be a long process and I thought if I don’t tell my mum now it will be an even longer wait. “The thought of having to go through male puberty when you are a girl is heartbreaking. “She was really, really, really supportive. She said ‘I will support you all the way’. I’m really grateful that I have her support. Without that I don’t know where I would be. She changed her name to Lori in June 2015 and now identifies as female all the time. 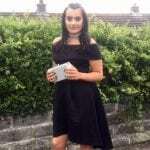 She attended her school prom earlier this month, and was excited to dress glamorously at the event for Year 11 pupils. The inspirational teen was crowned Prom Queen after obtaining the most votes from classmates and was given a crown and sash. She said: “I never thought at all that I would get prom queen. It was totally incredible. Mum Sarah, an NHS health care support worker, added: “I couldn’t be more proud of Lori. If you have a story that would make a great magazine, newspaper or website feature, let us know about it. Our service won’t cost you a penny. Ensure you aren’t misrepresented and your story is told YOUR way. Get you the highest fee for your story, guaranteed. Simply tell us a little bit about your story using the Story Valuation form on this page. We only need the main points. One of our team will get back to you straight away if we think we can help you place your story. See our Sell My Story page for more info.